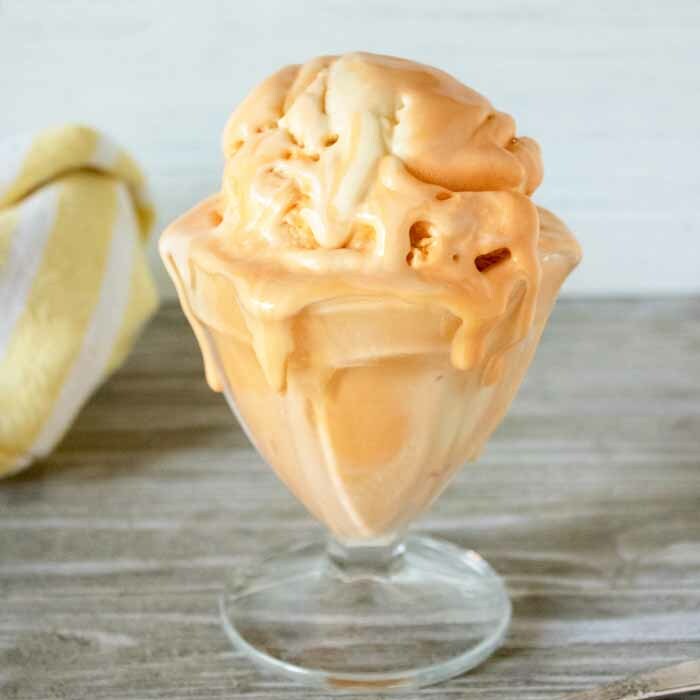 Cool off with a batch of this orange ice cream! And yes this simple recipe is no churn so very little effort is required. Now that sounds like a win-win, am I right? Grab your ingredients on your next trip to the store and whip up some ice cream for yourself and the kids. Refreshing orange ice cream is an amazing way to lick away the rest of the summer. With a mixer, beat heavy whipping cream until thick. Pour in sweetened condensed milk, vanilla and orange oil and fold in until smooth. 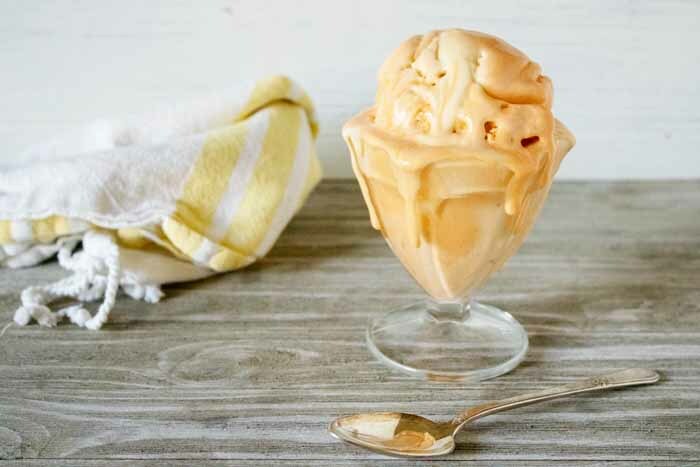 Divide ice cream into 2-3 bowls, adding gel food coloring to a couple of them to create 2 different shades of orange. Next, spoon ice cream into a freezer safe container, alternating colors to create an multicolored ice cream. 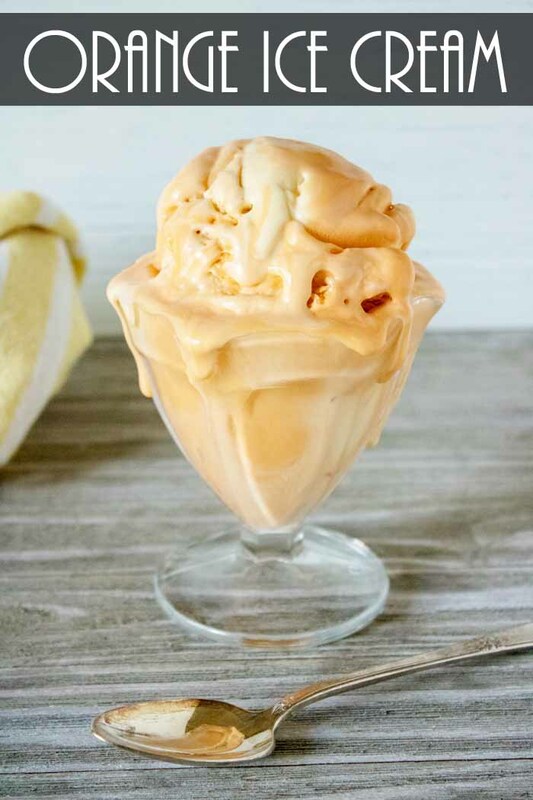 All that is left is to scoop up some of this orange ice cream and serve it to your family! If you have never tried no churn ice cream before, what are you waiting for? It doesn’t get simpler than this! Just mix it up, place it in the freezer, and wait for the magic to happen. Your kids will love diving into a bowl of this creamy and delicious treat. If you love ice cream recipes and making them at home, you might love the links below as well! Y’all enjoy this orange ice cream as well as these other ideas! plus more homemade ice cream recipe here! I love no churn ice cream and my boys love orange flavored anything! I will have to try this 🙂 Found on the Pin Junkie Party. PINNED! Your Orange Ice Cream looks fantastic for this hot summer day! Thanks so much for sharing with us at Full Plate Thursday and sure hope you are having a great week!